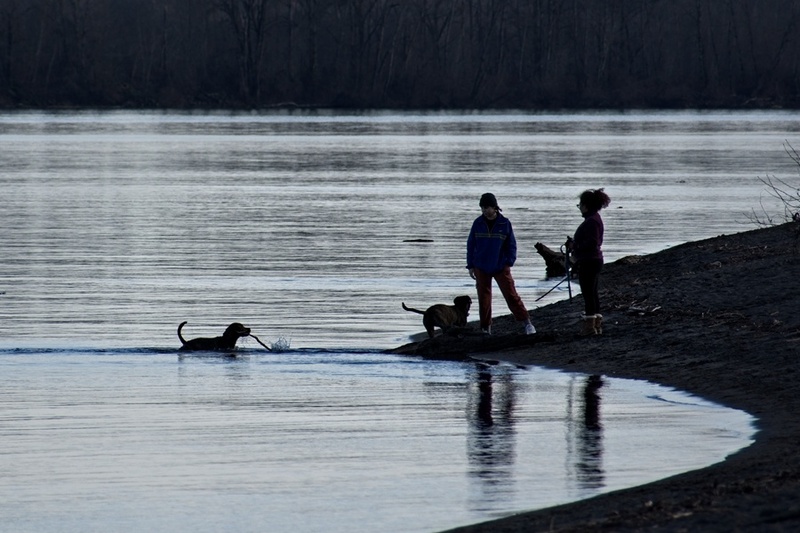 Nestled in the Columbia River, Sauvie Island lies about 10 miles (16 km) NW of Portland. This was our target for the afternoon, as we didn’t want to let the day go to the dogs. It’s a big island. At 26,000 acres (10,500 hectares) it’s the largest island in the Columbia, and one of the largest for any river in the United States. 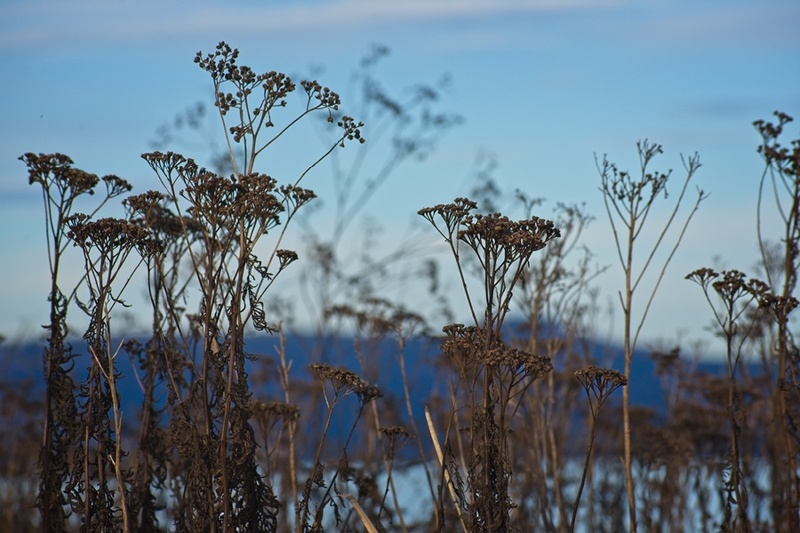 While much of the island is used for farming, there is still plenty of shoreline to explore, and half the island is set aside as a wildlife refuge. 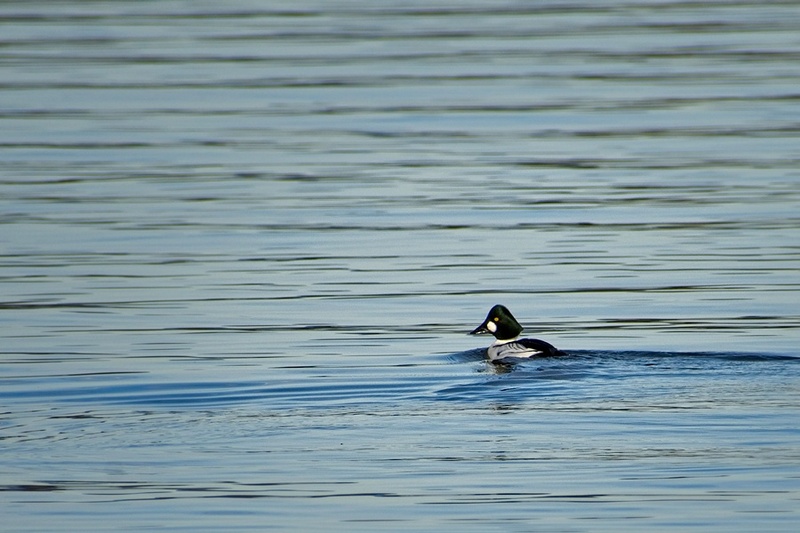 The plan was to hike along a section of lake within the refuge. Wandering into a little store at the entrance to the island, I headed up to the counter to pick up a permit and get any recommendations. The recommendation I got was unexpected; unless you want to join the ducks in ducking buckshot, you’re better off going elsewhere. Apparently, at certain times of the year, the refuge isn’t much of a refuge – the hunters get a shot. So it was off to the river. I admit, I’m not a dog person. It’s not that I don’t like dogs (ok, there are a few breeds I’m not a fan of), I’ve just never been motivated to take on a creature that needs you to follow him around in whatever weather nature throws at you, baggy in hand, waiting for that special moment when you get to pick up warm soft poop. Or spending your afternoon apologizing for yet another awkwardly placed sniff from ye olde pooch nose. But do I have to admit, there are times when they look like fun. There were other creatures about as well. One of the smarter ducks took refuge out in the river. But even there, there were hints of other dangers. A nesting platform for some bird of prey, perhaps for eagles, perhaps osprey, perhaps something else has a strategic vantage point overlooking the river. And alongside the beach, life of a different sort looked on. But that was not the most unusual form of life we encountered while wandering around the island. While I’ve seen a Mosshead Warbonnet while scuba diving, this was the first time I’ve encountered the human variant. Moss has many guises in the Northwest. 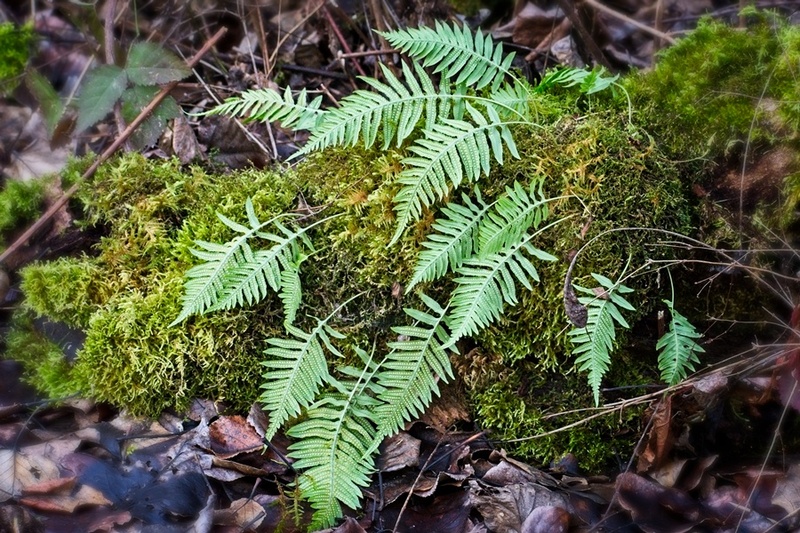 Not only can it act as a bonnet for the elusive juvenile Green Sasquatch, the ground-dwelling Log Creeper wears it as a shawl, festooned with feathery ferns. 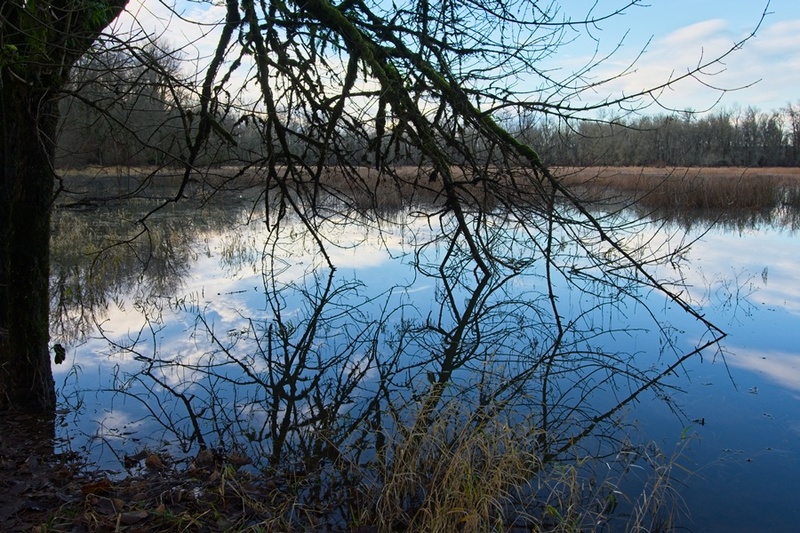 Stepping inland from the river, we found a small lake, mirroring the outstretched fingers of an Ent Faced Pond Sucker. Much older entities looked on as well. Still alive and capable of throwing a hissy fit, Mount Hood to the east and Mount St. Helens to the northeast gave us their wintery, icy stare. Alas, in January nice days are short-lived. Nightfall approached from the east and clouds approached from the west. But as both we and the day departed, the day gave us one final hurrah. Wondering photos as always, and I love the moss hat look. Pretty sure I tried a cocktail 🍸 once called an Ent Faced Pond Sucker, but I don’t remember if I liked it. I want a mosshead war bonnet! What a great way to spend a beautiful day. Too bad about the refuge for hunters, though. Isn’t that like shooting monkeys in a barrel? No fair. Though it didn’t go quite as planned, looks like it was a great trip! I’m also a fan of the moss hat, but not sure I’d wear one myself. Do they offer bug-free versions? Your photos are beautiful, I especially like the ones of Mount St. Helens amd Mt. Hood. Looks like a great place to visit except for the duck shooting factor which sounds brutal. Yuck! Glad you had a nice weather day to break things up a bit. I suspect the duck shooting is quite infrequent, and one would hope any casualties would be subsequently found on the dinner plate. We like those mountains around here too – guess it’s a trade off: warm tropical flora and fauna like folks in Sri Lanka enjoy, or snow covered volcanos. The mountain scenery look amazing! Lookslike a wonderful place to visit – and yep, mostlikely I will bring my dog to this kind of place lol – although maybe not such a good idea due to the duck hunting..
No duck hunting on the beach and I’m sure it’s infrequent on the refuge, the only worry would be other dogs. Not too many volcanoes back in Minnesota, I suspect you would enjoy a visit out here. I am living not too far from you in the BC interior. I wonder whether you got our recent cold spell. Your wonderful photos seem to indicate that you managed to escape the arctic air in your nook of the world. Those shots were from about a month ago, on a rare nice January day. We did get some arctic air the last couple days – we even got about a half inch of snow last night and there may be some more in the offing this week. Glad you liked the photos, we’ve got some nice countryside up here in the NW don’t we? Those are some cool moss hats. Had to laugh about your dog comments. I like dogs, but picking up poop grosses me out so much that it keeps me from ever having one. But now I get to borrow my parent’s dog for long walks through the woods, and that’s enough. It’s always good to have a pleasant day outdoors in January. Love the images, as always. Those white massifs looming in the distance are intimidating. 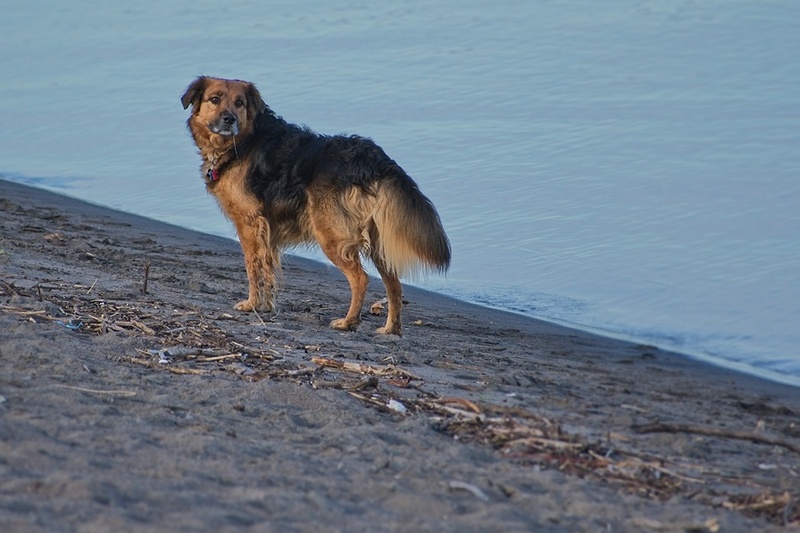 Borrowing the dog – yep, that’s the ticket. And now, as you walk through the woods and see a batch of moss, you’ll know what to do! Wouldn’t be a problem Curt, dissing isn’t really my style. 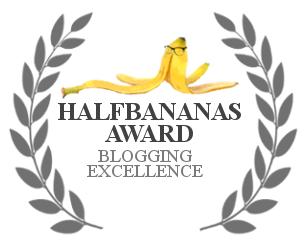 I’m not all that quick in repartee anyway, apart from the occasional pun – even my writing style is slow and methodical. A fun post indeed. Perhaps hunters are permitted to shoot in the “refuge” occasionally as a way of keeping duck numbers down? Or perhaps it’s a perk offered only to other locals. It looks like you’ve started a craze for moss hats! 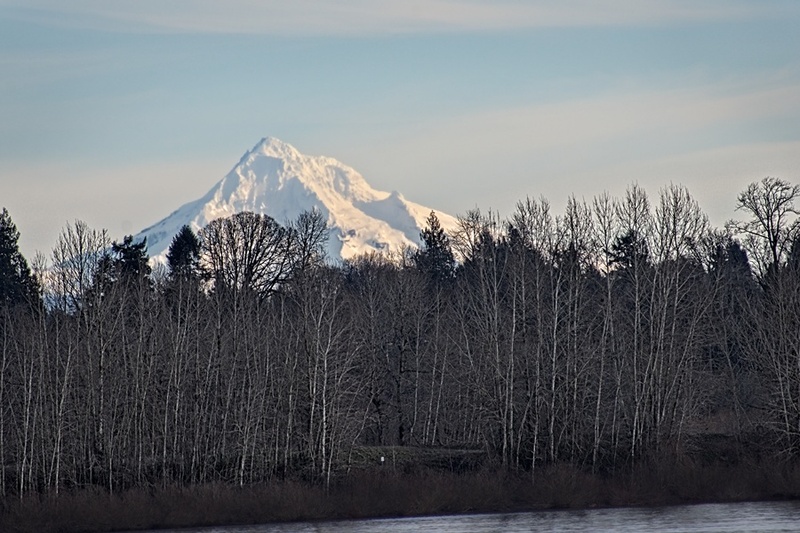 What a spectacular place, Sauvie Island, and I am not only talking about the spectacular mountain views. 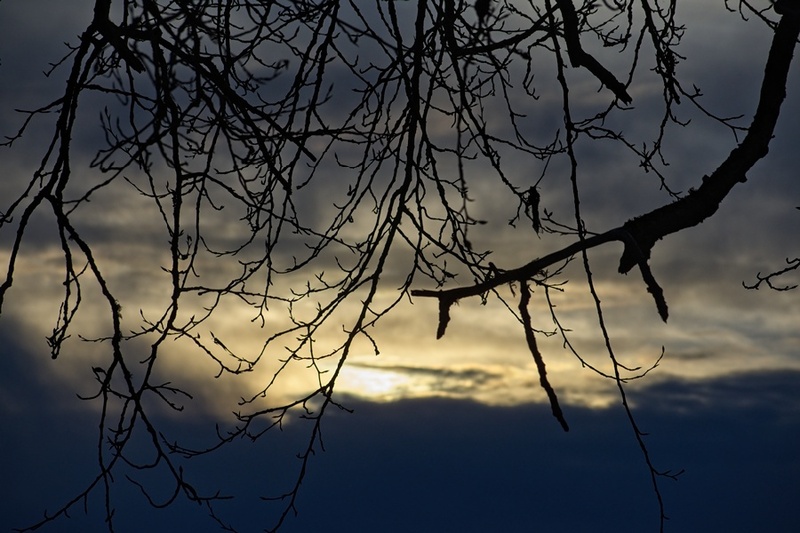 Your captured the feeling beautifully in these images. It’s a pretty cool place to wander around. I’d still like to do that original hike I’d planned – a good excuse to go back. 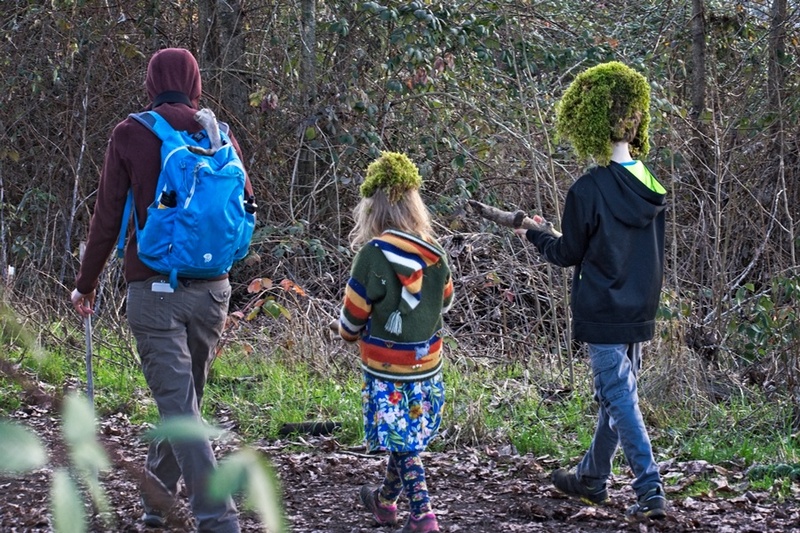 Sauvie Island will have to go on the list for the next time we’re in the Portland area…what a nice summary, and the kids with moss hats are SO PNW! Head to foot. A lovely post Dave, and keep warm – I think you may have snow tonight, no? Yep, snow tonight, snow last night, snow a couple nights before. But it’s been melting in the afternoons so no big build up. Give me a shout if you come down for some photography, I suspect you’d be fun to shoot with. I’ll remember that thank you. And guess what – we had snow last night, too – though just a dusting. Very pretty. Ah, how much I miss not seeing mountains on the horizon. True, having a dog can have its awkward moments (you forgot to mention when doggie arrives and proudly dumps on your feet an agonising mole that she’d dug out of the garden, destroying half a billion daffodils in the process, or having to wash said dog), but they’re fantastic, faithful companions and can and do brighten up the day. Until they dig out a mole. Yep, there are trade-offs for having dogs around. Kind of like having kids, I suppose. I don’t know if I am a dog or cat person. I’ve always liked dogs more. After a short cat sitting stint, I started liking cats too. 🙂 The dog in your pictures looks friendly and fun to play with. Animals know when winter is over. I can hear birds chirping these days. It’s music to my hears. I like ’em both, mostly, but I’ve only ever shared my home with cats. I suspect it really comes down to the idea that dogs and cats are a bit like people; they each have their own personalities. Some of them you wouldn’t want to spend 10 minutes with, others near steal your heart away in 10 minutes. Liked the moss hats. 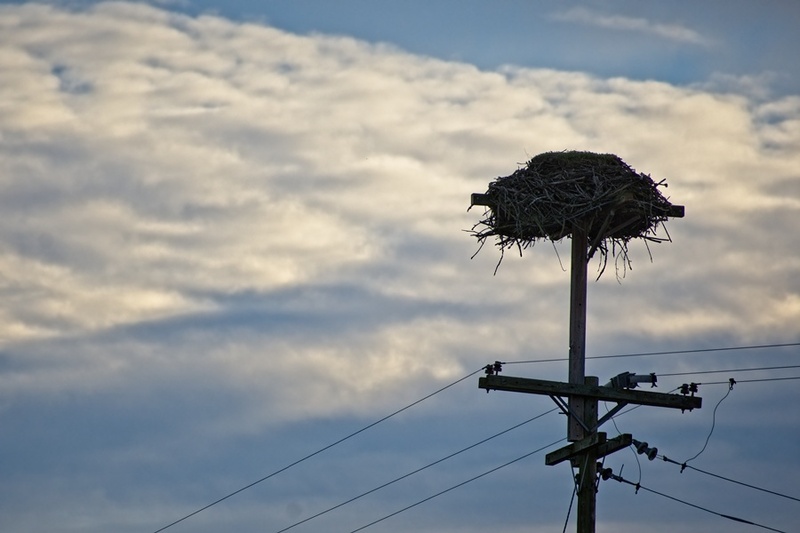 And that nest on the power pole looked more like a 3 bed 2 bath bird condo. That thing was huge! I did a double take when I came up on the trail and saw the moss hats going past. Just about didn’t have the camera ready in time for a shot. Really beautiful photos. The moss hats made me laugh. It’s been unusually nice here as well. Seems like spring and my allergies are going haywire. Seems more like winter around here lately. Nice days in January, snow storms in Feb, what next? Today was 57! Should be in the high 20s-40s. The magnolia trees are budding. Moss haberdashery could be the next big thing for the Green crowd, Dave. Your forest photos continually entice me to go wandering off into the woods. I’ll leave the moss helmets and ent-baiting to the locals, however. I wonder what those kids would think if they knew their fancy hats were making the rounds on the global internet? They would be thrilled they’re getting their fifteen minutes of fame and initiating the trending of moss helmets.